We as OJAS deliver the SAP expertise and experience that our clients need to enhance their business with SAP platforms as to enable them as linear and smarter businesses. With specialized SAP resources, we are positioned to design, implement, and maintain complex SAP engagements, as well as evolve SAP landscapes to achieve the greatest business value. 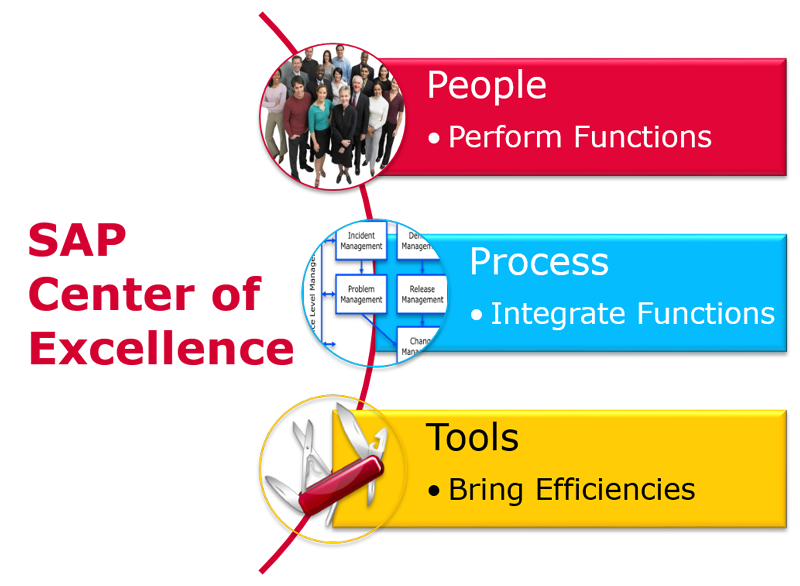 SAP CoE Practice is characterized by proactively demonstrating unique ways to apply technology and resources to value propositions and competitive pressures in a forward-thinking manner. SAP COE actively looks for value opportunities and build ROI in by design. As a result, SAP COE typically achieve reduced operational costs through Incident and Problem Management and recognize increased capacity for enhancement and optimization. Our SAP CoE Practice is designed and equipped to address a wide range of challenges that organizations face as they seek deeper insights of data, improve decision-making process, and embrace the power of in-memory technology and mobility in delivering information anytime, anywhere. It is an integral part of our working model designed based on 3 dimensional approach. Business upgradation with SAP S/4 HANA, the next generation technology at OJAS enables digitalization of your services with a cutting edge transformation. To mark the sustainability, businesses need to overcome the competitive enhancement of application services. We possess a hands-on experience over a widespread spectrum of services and solutions which drives the capabilities of augmenting the business needs in the right way with right sourcing. OJAS has right people, practices and solutions to help organizations generate the greatest return on their SAP investments and build a transparent business. Combining our processes and proven methodologies, we’ll help you unlock new features and functionalities you may not have known existed and build an agile and flexible infrastructure. Provides a powerful platform that meets demands of the high velocity enterprise. Built on the SAP HANA platform, the SAP S/4HANA suite offers an unparalleled level of sophistication and insight. OJAS state-of-the-art SAP solutions helps businesses to plan, budget and forecast their financial solutions with an extensive array of financial solutions. Today, a business that wants to stay relevant with customers will not tolerate any lag in the speed at which business-critical information gets pulled out for users. Even so, most enterprises are struggling to draw strength in a timely manner from the vast reserves of information tucked away within their walls. This is where we as OJAS and SAP HANA (high-performance analytics appliance) can help. SAP HANA uses massive capacity in-memory analytics (that represents as much as a thousand-fold increase in computing speed and the ability) to analyze hundreds of terabytes of data, all in real-time. In doing so, SAP HANA drives fundamental change to the way business leaders view data, processes, decisions, and business models.